A machinery showroom in Germany. Having one machine complete several tasks is more of a European than an American notion. That’s because it’s as much a function of space as it is economy, and North American woodshops tend to be roomier. There’s usually plenty of space for stand-alone machines. Cultural norms are part of the history here, too. Both U.S. and Canadian shops traditionally followed more of a Ford production line model by creating individual work stations around various machines. On this side of the pond, commercial woodworking has always strived to be practical, relatively efficient and profit-oriented, with only a wisp of romance. Immigrants were too busy just surviving. In Europe, where the craft evolved over two thousand years, it is seen as more of a venerated vocation. So, it’s no surprise that most multipurpose machines come from, or at least are inspired by, European practices. The advantages are easy to list. The machines take up less room and are usually less expensive than their equivalent in single-purpose machines. There are fewer motors to fail, fewer electrical connections to supply and fewer dust collection ports. There’s a symmetry to the engineering, which makes operations a little more intuitive and familiar. Service and support are supplied by a single manufacturer. There are fewer steps being walked around the shop, and less time spent looking for accessories. And there are disadvantages, too. There’s the teardown and set-up time between functions, especially on single-motor machines that can only run one tool at a time. And usually only one function can be performed at a time, so only one person can work at a time. But in a one-man shop, that’s not often an issue. And if a major part or a motor fails, then several machines are out of commission until a repair is completed or the part arrives. On machines that share a cutter (planer/jointers, for example), if there’s a nick in a knife or a damaged insert, that telegraphs to both operations. But for a small shop, or a dedicated function in a larger facility, multipurpose machines can be an efficient, space-saving, budget-conscious solution. 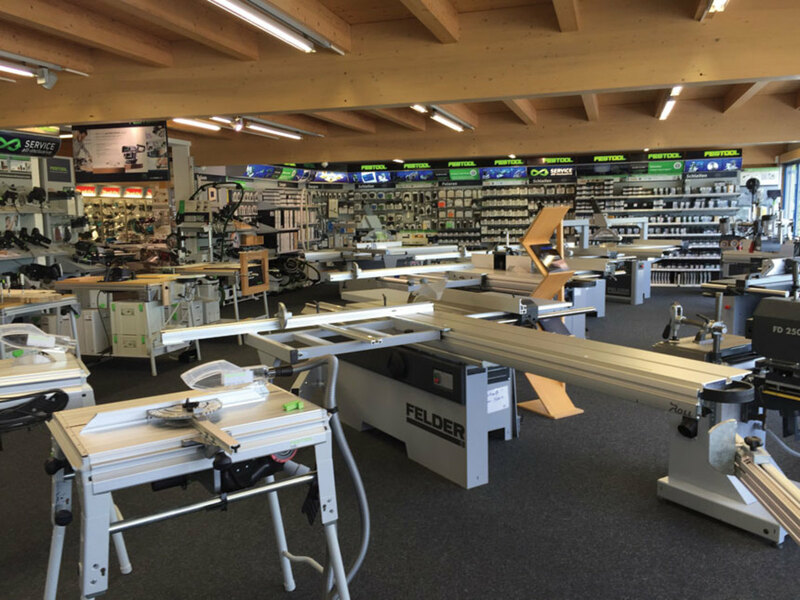 At the heart of European woodworking, the Austrian company Felder (felder-group.com) offers six combination machines in its Hammer family, three of which are recent additions. 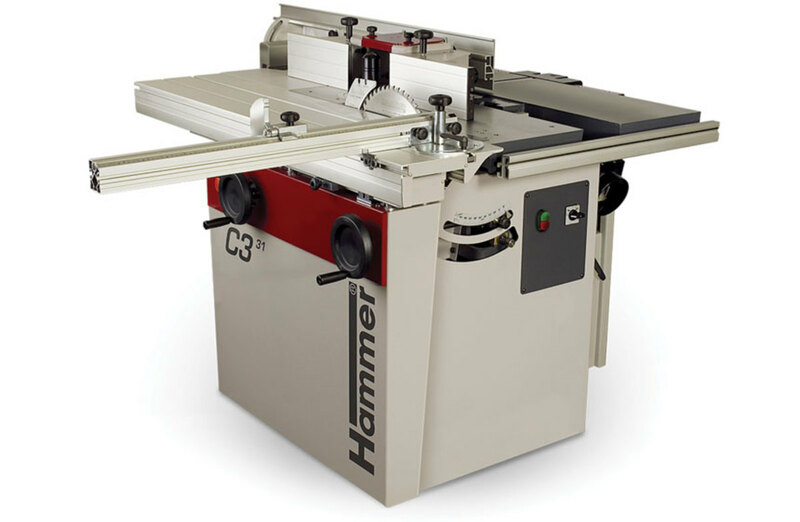 Among the favorites of that continent’s furniture builders, the original C3 31 offers a planer and table saw, plus an optional molder and mortiser. At the other end of the scale, the newly relaunched C3 41 Perform is what every small shop owner looks for under his Christmas tree. It planes, saws, mills and drills with precise adjustment, quick changeover times and the highest quality cuts. It has a 2500mm (98”) Format sliding table, a 1250mm (49”) outrigger table and a 2600mm (102”) crosscut fence. It can also be equipped with Felder’s Silent-Power spiral cutters. There’s a rolling carriage to move the machine, and an optional horizontal mortiser. 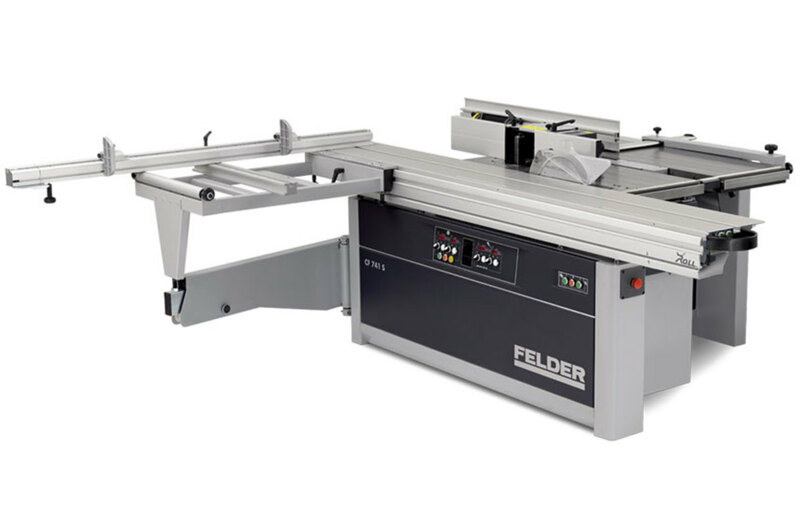 The company also offers five Felder combination machines, and the entry level model here, the CF 531, is a space-saving but powerful piece of clever engineering. 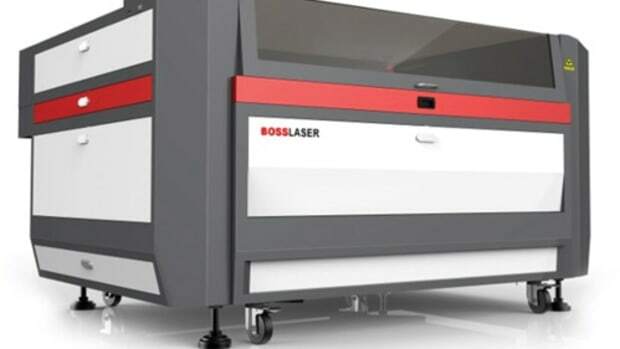 Priced for small shops, and depending on how it is ordered, this machine will handle planing, jointing, molding, sawing and even mortising work. It’s a gateway machine that allows shops on a limited budget to gain access to Felder support, and to grow the equipment as the shop’s needs grow. For shops that are already tackling larger orders, the new Felder CF 741 is an enticing option. This slider has a 16”, four-knife planing capacity along with a 12” table saw with scoring and optional digital controls. The molder tilts from 90 to 45 degrees, and has optional electrical height adjustment of the spindle, with an LED display. The sliding table comes in options from 98” to 126” and a number of standard choices or options for the outriggers and crosscut fences. On average, the CF 741 weighs in at about 2,500 lbs. (depending on options), so it’s not inconsequential. Staying in Europe, SCM Group (scmgroup.com) is based in Italy and has been building high quality machines since 1952. The company offers half a dozen Minimax combined-function machines that range from the C26G to the 410ES. These are ideally suited to small professional or serious amateur shops, both in terms of size and budget. 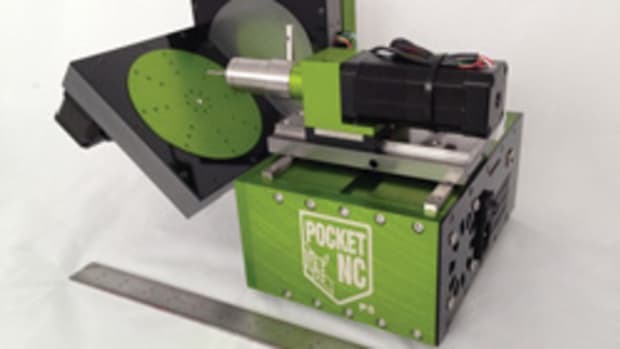 The smallest model has a 250mm (10”) sliding table saw, a two-speed spindle molder/shaper, thickness planing up to 200mm (7-7/8” thick), a 260mm (10”) wide jointer, and horizontal boring/doweling capabilities. The larger model has a scoring blade, accommodates saw blades up to 350mm (13-3/4”), offers four-speed molding (3,500 to 10,000 rpm), and a four-knife planer/jointer. The functions on these machines take advantage of the sliding table, which is an advantage over most stand-alone alternatives. 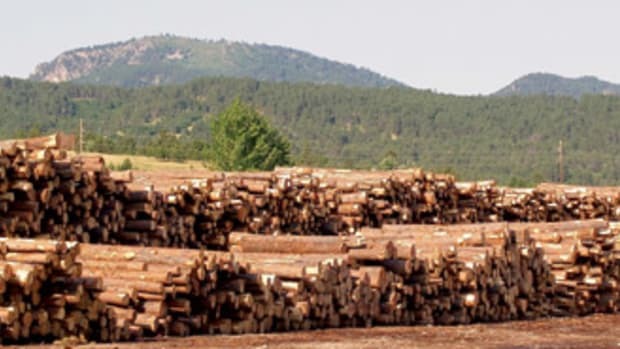 Because of the company’s prominence (SCM Group North America has offices in Georgia, California, Ontario and Guadalajara), service and support are reliable and easily accessible. And the sales team has a lot of experience helping woodshops select the right machine for the job. 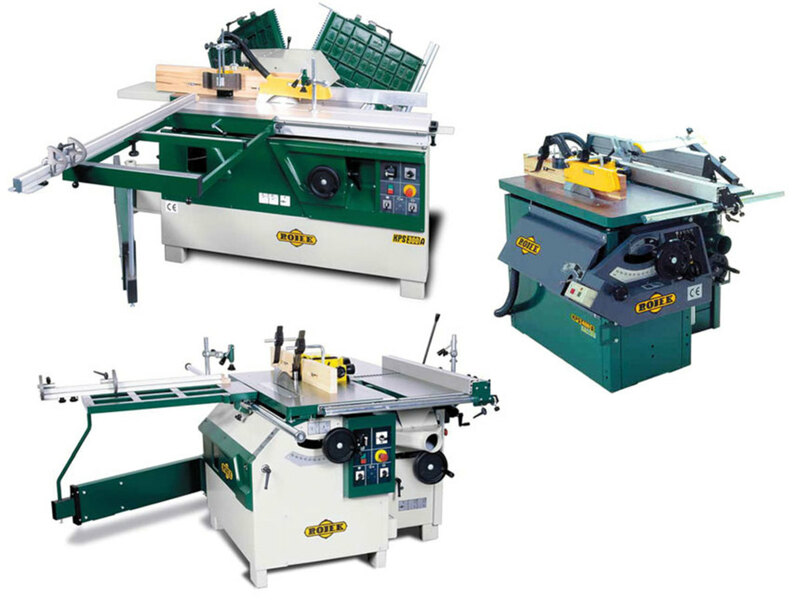 Rojek’s (clockwise, from top left) KPF 300A saw/shaper; KPS 400 5-in-1 combination machine, and KP300V saw/shaper. Casadei-Busellato (casadeibusellato.com) is also based in Italy, and has distributors worldwide including North American presences in both Winnipeg and Georgia. The company offers five families of combination machines. The smallest is a planer/jointer and the largest are designated as the C30C to C41C. 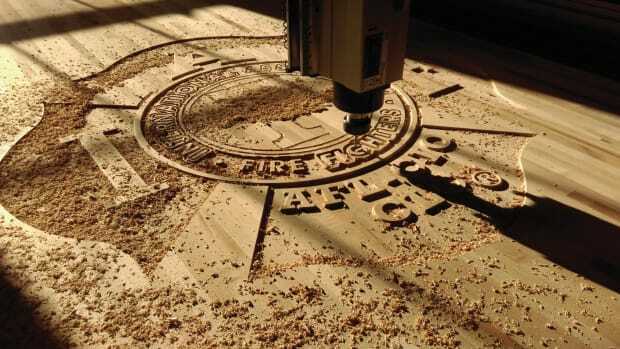 These professional-grade machines incorporate a surface planer (jointer) with options from 11.8” to 16”, a 9”-tall thickness planer, a 12” table saw with scoring, and a three-speed spindle molder that runs up to 10,000 rpm. A wide range of options are available for the C30C and C41C, and the standard equipment includes three independent motors, a telescopic supporting arm and a dimensioned crosscutting frame to support large panels. Changing the function is quick and easy, and a monolithic steel frame delivers plenty of stability. 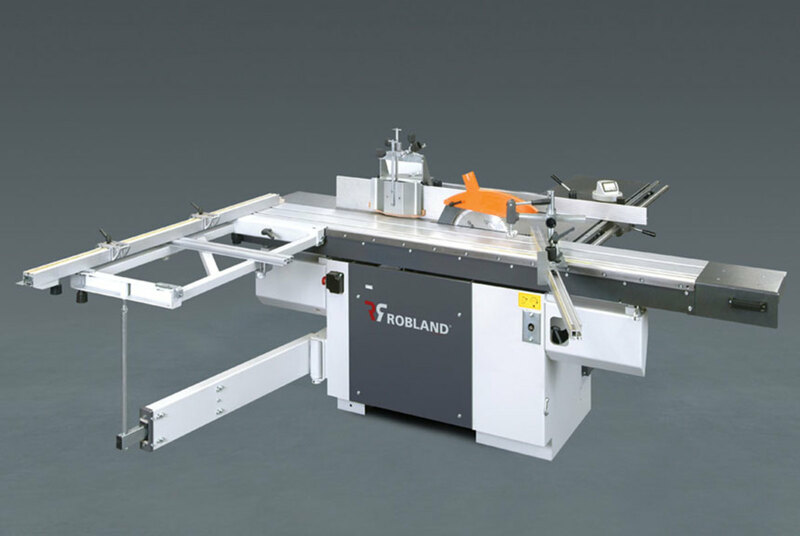 Another familiar brand to woodworkers, Robland (robland.com) machines are built by Werkhuizen Landuyt in Bruges, Belgium. Celebrating its 50th year in 2018, Robland’s U.S. presence is through Oliver Machinery (olivermachinery.net) in Kent, Wash. There are seven models in the company’s Combined category, ranging from the no-frills HX to the NLXTZ Pro. 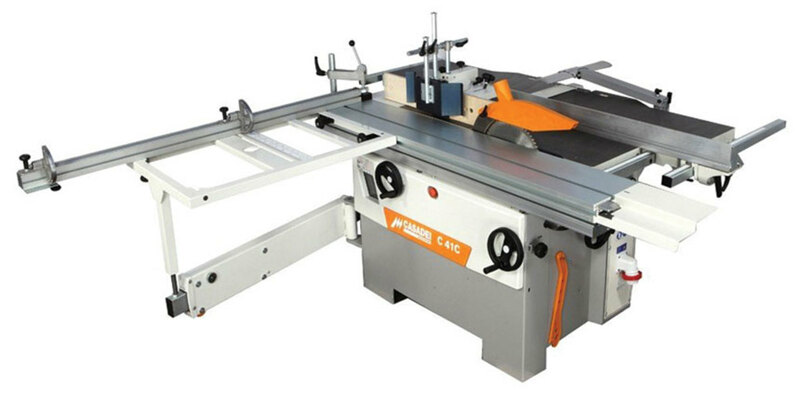 This latter has a scoring unit for its 13” table saw (sliding options are 98” and 122”), a tenoning table, digital readouts, and a four-speed 1” spindle arbor with speeds from 2,900 to 7,500 rpm. It weighs in at 1,873 lbs., which is substantial given its relatively small footprint. It only requires a workspace of about 20’ x 9’. Oliver also offers a 24” jointer/planer combination under its own brand name. The model 5235 features two 25-hp TEFC motors. Rojek USA (rojekusa.com) is distributed in America by Tech Mark Inc. (tech-mark.com) of North Little Rock, Ark. The company offers three 5-in-1 combination machines, the KPS 400, KPS 300A and the KPS 300V. Rojek says that a woodworker can “easily switch between the five precision tools in minutes and experience the power and performance of its 12” table saw, four-speed or five-speed spindle shaper, large capacity thickness planer and jointer, and slot mortising machine”. Baileigh Industrial (baileigh.com) has an affordable 12” jointer/planer combination for the small shop, and an 18” model (the JP-1898-NC) for bigger jobs that sports a 98” long bed, a spiral cutterhead and a 7.5-hp motor. Thirty years ago, the Austrian brand Holzmann (holzmann-maschinen.at) was born and in 2008 the corporate group added the Zipper name. 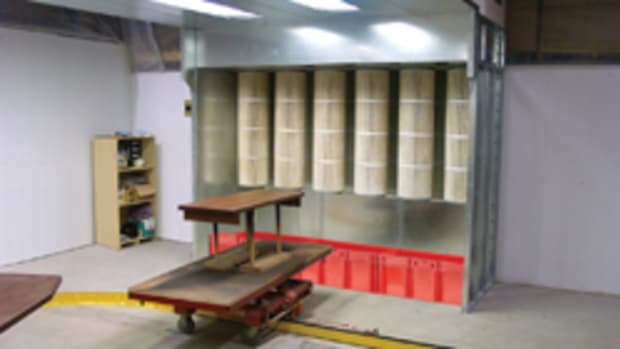 Today, Holzmann offers a comprehensive catalog of woodshop machines, including a jointer/planer (called a surface planer and thicknesser in Europe) and half a dozen five-operation machines. The website doesn’t list a North American distributor. The Bulgarian company ZMM Stomana JSC (stomana.net) also offers a number of five-operations machines, and it too lacks a North American contact on its site. In Italy, Griggio (griggio.com) offers two machines, the LM410R and the LM 30A. 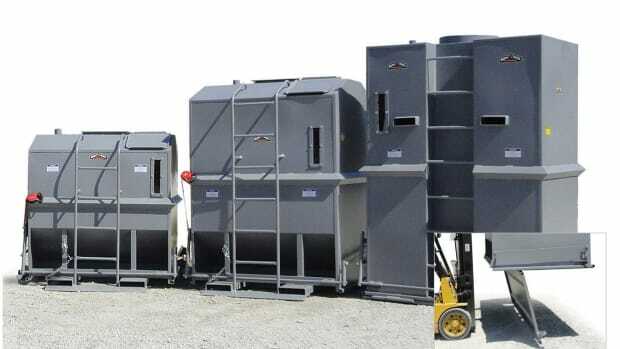 They are available in the U.S. through J&G Machinery Inc. (jgmachinery.com) in Sanford, N.C. The Italian company Veba Meccanica (veba.it) has three models, the C350M, C400 MI and C500 MI. They look a little familiar, which brings up an interesting point. Many of the European machines are made in the same factory and are then offered in different countries under different branding. However, potential buyers should be aware that the electronics can change (household current for smaller machines can change at the borders), and some markets may have different safety or other regulations. DM Italia (dmitaliasrl.com) is located a few minutes northwest of Milan, Italy, and offers a large selection of low-priced combination machines. The company ships worldwide and its largest model, the America Professional 3000-410, has a saw, three-speed molder and a jointer/planer. The basic model comes with three independent 3-hp, single-phase motors, but 3-phase is available. Gamma Zinken is another Italian name that’s very familiar to European woodworkers. Also based in Milan, the company offers the six-function ZCM 260 through its website (gammazinken.it). 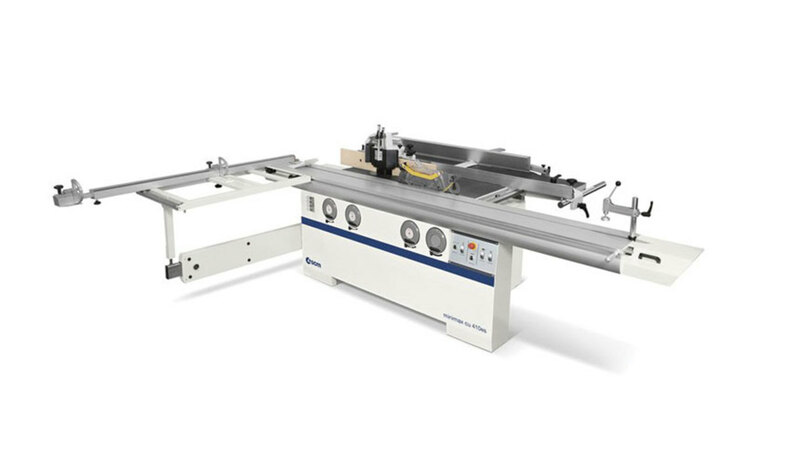 The Axminster Hobby Series AWC4 (axminster.co.uk) is a four-function machine that includes sawing, spindle molding, jointing and planing. Axminster has eight Big Box stores in the British Isles, and ships worldwide. It has a shipping connection with TSO in Fort Meyers, Fla., to serve American woodworkers. RS Wood (cmcwood.com) of Rimini, Italy, exports to more than 50 countries and offers a universal combined woodworking machine with a saw, molder, jointer/planer and mortiser. It runs on three independent motors. Scott and Sargeant Woodworking Machinery Ltd (scosarg.com) is located in Horsham, just south of London, and offers iTech machines among others.The German company Scheppach (scheppach.com) has nine planer/jointer models in its catalog. The company seems to have some presence in the U.S. (for example, Craft Supplies USA carries its variable speed sharpening center). However, the Scheppach website doesn’t seem to list a multi-purpose machine distributorship in North America, so an email enquiry might be the best way to go. The Woodmaster catalog (woodmastertools.com) offers variable speed combination machines that can handle molding, planing, sanding and sawing. 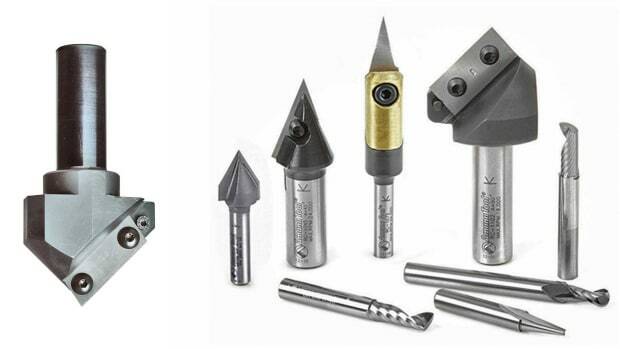 Options include three-sided molding, spiral cutters, and the new Double Molding Knife Holder that literally doubles production speeds. Machines from the Kansas City, Mo., factory can also handle specialty jobs such as curved and elliptical window frames, door casings and archways. The company has more than 600 profiles to choose from and also makes custom knives. Grizzly Industrial’s model G0675 (grizzly.com) is a 10” jointer/planer combination machine that might be an ideal solution for a serious hobbyist. And where would a discussion on multipurpose machines be without mentioning the ubiquitous Shopsmith? Yes, it’s a hobby machine (single-phase, 1-1/8 hp), but the sheer ingenuity makes it noteworthy. Introduced in 1953, the latest version is the Mark 7 (at shopsmith.com), and many of the more than 600,000 units sold over the last 65 years have found homes on jobsites and in small, space-challenged, professional one-man shops. It has a 10” table saw (the tilt mechanism is unique), a 12” disc sander, a small wood lathe, boring/doweling capabilities, a rather decent drill press, and shaping/routing (250 to 10,000 rpm). 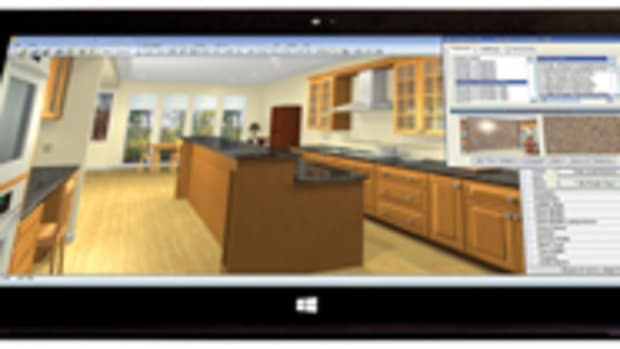 For more background on choosing a multi-function machine see the December 2015 article in Woodshop News titled “Center of Your Universe” at woodshopnews.com. One final thought: a lot of multi-purpose machines that were purchased by small shops over the years have not seen too many road miles. They can be an excellent buy on the used market, as long as the company is still around if the need for parts or specialty servicing arises. This article originally appeared in the September 2018 issue. 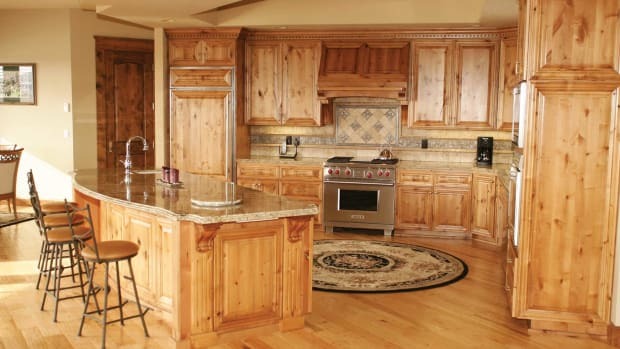 THE RIGHT MOVE: Borror Cabinets found a good home in Klamuth Falls, Ore., and is having one of its best years.